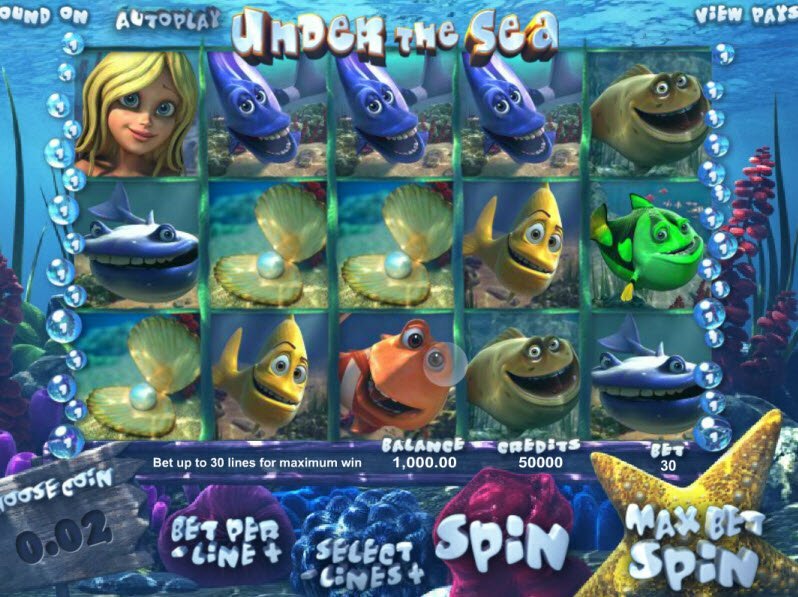 The Under the Sea Slot Machine incorporates the basic components of what makes a good online slot game. Here you’ll find the right combination of high-quality graphics, plenty of paylines, and just enough bonus features to keep things easy-to-understand. This 5-reel, 30-payline slot game represents a great choice for online casino players. Play the Under the Sea slot machine, and you’ll be sure to come back for more. Slot reels contain images of tropical fish and mermaids surrounded by a watery world of light and color. Powered by Openbet gaming software, the Under the Sea slot machine gives you the chance to find treasure beneath the sea and cash in with real money. The Under the Sea Slot Machine creates the perfect, fun-filled atmosphere to accompany your online gaming experience. The slot machine sits at the bottom of what seems to be the Caribbean Sea filled with crystal clear blue waters and colorful corals. The water ebbs and flows while light dances on the sea bed. Meanwhile, tropical music and steel drums play in the background. Reel boxes feature images of a pretty blonde mermaid and her colorful fishy friends who animate during winning combinations. You will surely enjoy the lovely landscape that the game designers created in the Under the Sea Slot Machine. 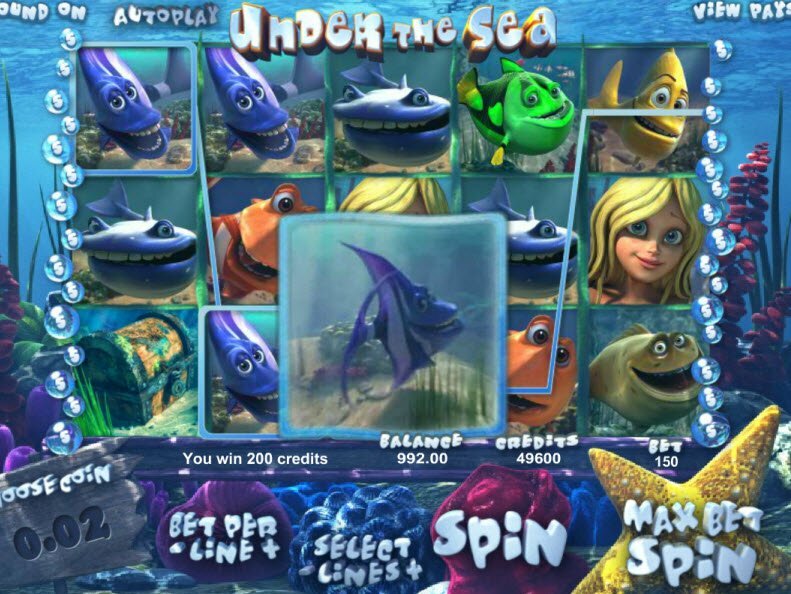 The Under the Sea slot machine creates the perfect, fun-filled atmosphere to accompany your online gaming experience. The slot machine sits at the bottom of what seems to be the Caribbean Sea filled with crystal clear blue waters and colorful corals. 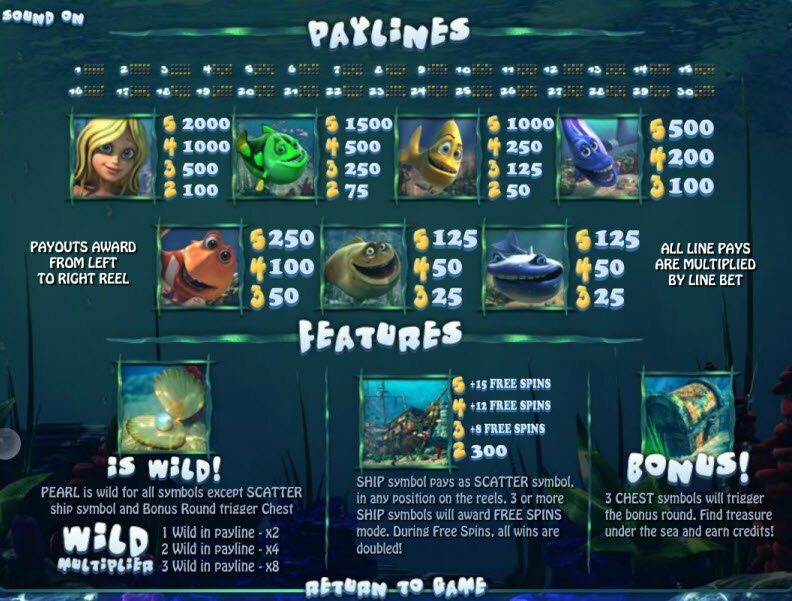 The Under the Sea Slot bonuses keep things basic when it comes to features. Here you’ll find your standard bonuses including a Wild, Scatter, and Bonus Round. The Pearl serves as the Wild Symbol, which substitutes for all symbols. The Ship represents the Scatter Symbol and will award Free Spins if 3 or more appear on the reels. 3 Chest symbols trigger the bonus round where you can find treasure under the sea and earn real money.